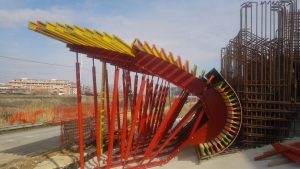 The striking cable-stayed bridge is made of steel, 140m long, 22m wide and about 100 m high, with a single steel pylon placed on the side of town where the cables converge. 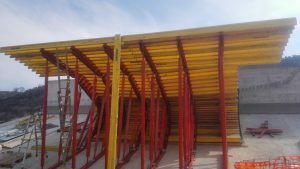 4 traffic lanes are planned with a pedestrian walkway. The bridge is supported by an abutment on the west side connected to the central pylon between which railroad tracks will pass, and by an abutment to the east, the first to be completed. 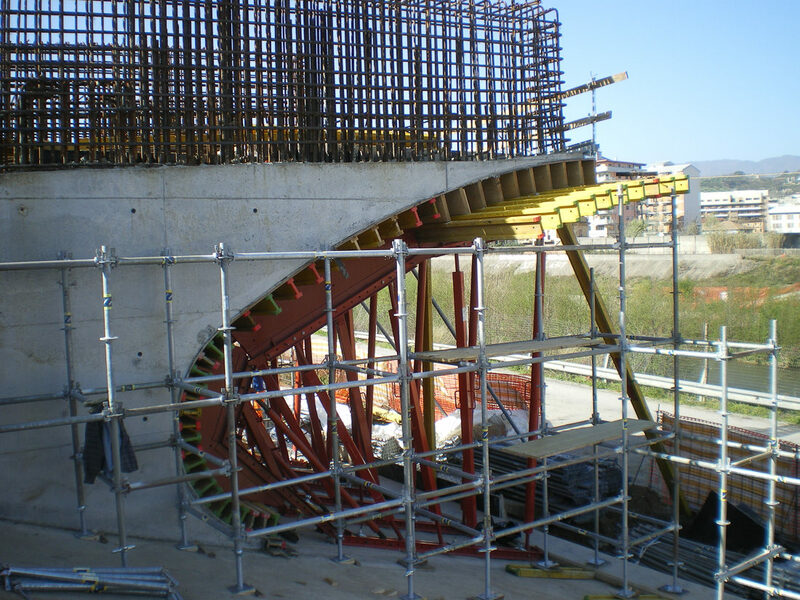 The size of the east abutment is circa 25x10m and seems almost vault-like, with its jutting upper part and curved underlying base at variable radii. 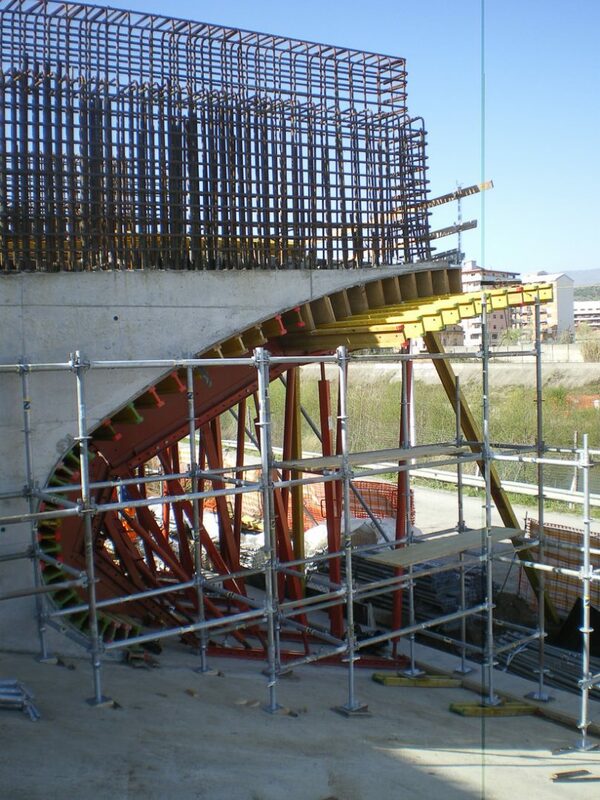 For this work of art, the contractor chose Pilosio MAXIMIX formwork as the most suitable system for the construction of the curved sections with their numerous inclinations and varying radii. It also ensures fair-faced concrete for the perfect finish that the architect designed. 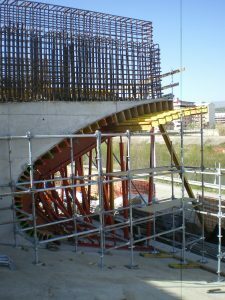 The design of the MAXIMIX formwork for the curved sections or ribs at a total length of 7,20m and a height of 4.50m, required considerable expertise given the very different radii of the curvature as well as an introdos with varying surface area; starting from two straight ribs or breaks at wide angles and then becoming curved. 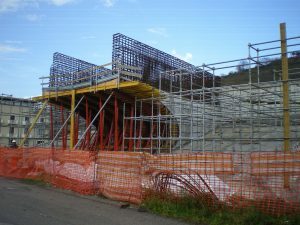 The ribs were made, ad hoc, in steel in the Pilosio workshop in Udine (Italy). 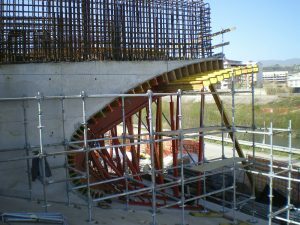 For the shoring of the horizontal cast, and due to the great variance in angles, the multidirectional MP system was opted for. The system's design had to take into account three different angles at the same time: that of the supporting surface and that of the double angle of the upper slab. 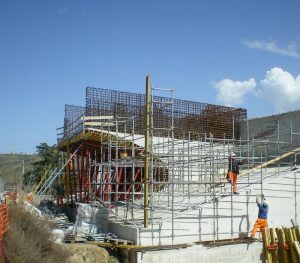 The structure was made using varying dimensions, optimized by static calculation and completed with a system of a primary framework in steel WS10 beams and a secondary framework of PL20 wooden beams; so obtaining a continuous plane suitable to support the formwork for the horizontal surface casting, that could be used as a work platform for operators.